Well, yes, BUT: there is a crucial difference to understand…. and that difference lies in chord functions. It is all in how notes relate to what is perceived as “home”. In this article I lay out all the reasons why it is very important to distinguish between major and minor key signatures, even though the notes are technically the same. If you play music, compose music or like to understand what you listen to better: understanding that distinction is a must! Plus, all the beautiful sounds that come from it… they sound so familiar, don’t they? Enjoy the read and practice your diatonic cycles. 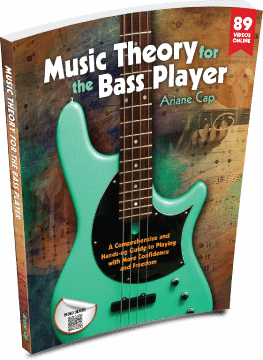 I know no better practice to wrap your mind around music theory than shedding the diatonic cycle. It is on the wall chart, it is in your favorite songs, it’s been used since Bach’s time, and if you crack it, your confidence in terms of listening and playing will soar! The most important pieces are right there in this article. To practice it with the wall chart, follow the steps in this video. In the 20 unit course, we do the diatonic cycle in the most important keys all over the fretboard! We follow a simple formula that opens this up for you. Participants tell us they love these exercises. If your browser does not correctly display the text box below, please use this link to access my article.